Transform your house into a spectacular home. Your El Paso Granite Contractor Welcomes You! When it comes to finding the perfect countertop contractor in the Southwest, it’s necessary to choose a team that can provide the most complete service. This, and much more, is exactly what Eleganzza Granite Inc. has to offer. From remodeling kitchens and bathrooms to building custom cabinets and shutters, Eleganzza Granite Inc. does it all. We are El Paso’s premier granite provider. We make use of a wide variety of materials, from granite and quartz to marble and onyx and even wood, to create exactly what our clients require. BRING PERFECTION TO YOUR HOME! On top of supplying marble installation services to the Southwest, Eleganzza Granite Inc. also offers bathroom and kitchen remodeling services. Choose us for our traditional, contemporary, and modern design options. Simply put, our work is as original as it comes because we take your goals and dreams in order to create an end product that will suit your needs perfectly. When remodeling a kitchen, the job may be small and simple, such as changing a countertop, or more intricate and large-scale, such as transforming the entire kitchen. No matter the size of the task at hand, Eleganzza Granite Inc. can take care of it. As general contractors, we are able to move walls and roofs in order to perfectly accommodate everything the client requires. We work with experienced designers to capture our client’s exact vision and appropriately turn it into reality. We provide wood shutter installation services, as well. As a material, granite is able to provide many benefits that rival its natural beauty. 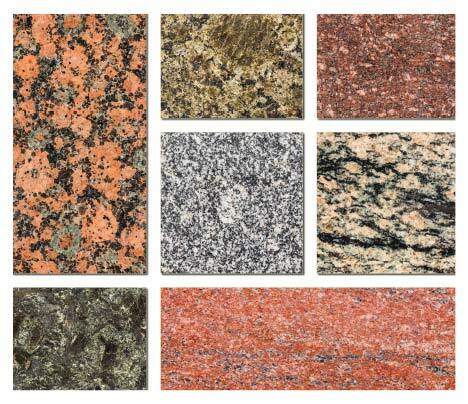 Granite is an excellent option for kitchen countertops or bathroom sinks. Working with a granite contractor gives homeowners in the El Paso area the ability to harness the incredible potential granite has to offer. When you team up with Eleganzza Granite Inc., you can dream big and put your trust in our hands. Since we work with all types of stone, the sky is truly the limit.